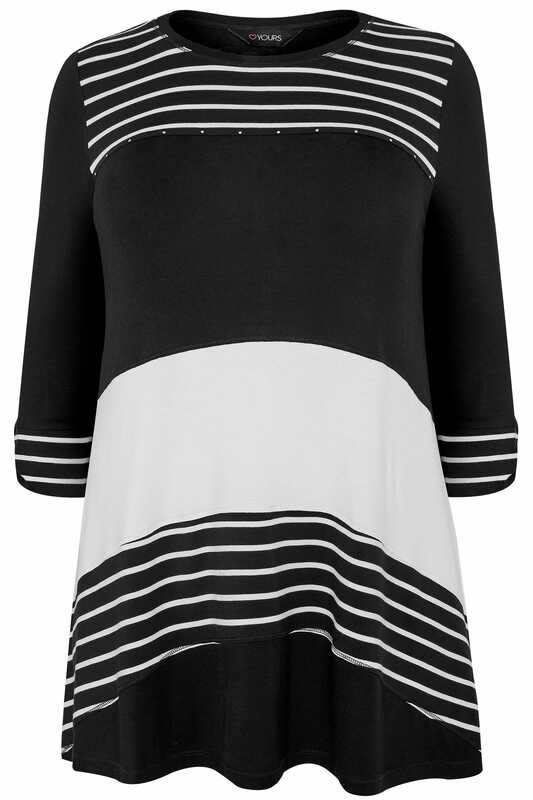 Front length from (approx): 79.5cm/31.2"
Front length from (approx): 81cm/31.8"
Make a statement in this colour block top. Perfect for day-to-day wear, it is updated with stud embellishments and roll-up sleeves with a tab finish. For everyday wear, style with basic denim and flats. 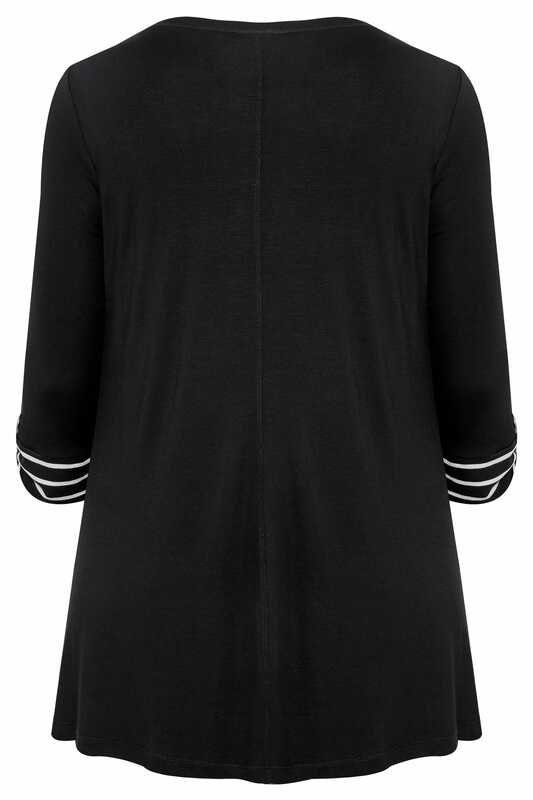 In a monochrome colour palette, it will serve as a favourite in your casual wardrobe.